After hiking Mt. Matutum (read post here), I continued my solo adventure to Cotabato city to visit the new friends I met during a media trip to Tawi-Tawi. From GenSan (General Santos city), that's another 4 hour bus ride, passing several municipalities in the province of Maguindanao, which I was visiting for the first time. The driver let me off in front of a police outpost in the municipality of Datu Saudi Ampatuan. 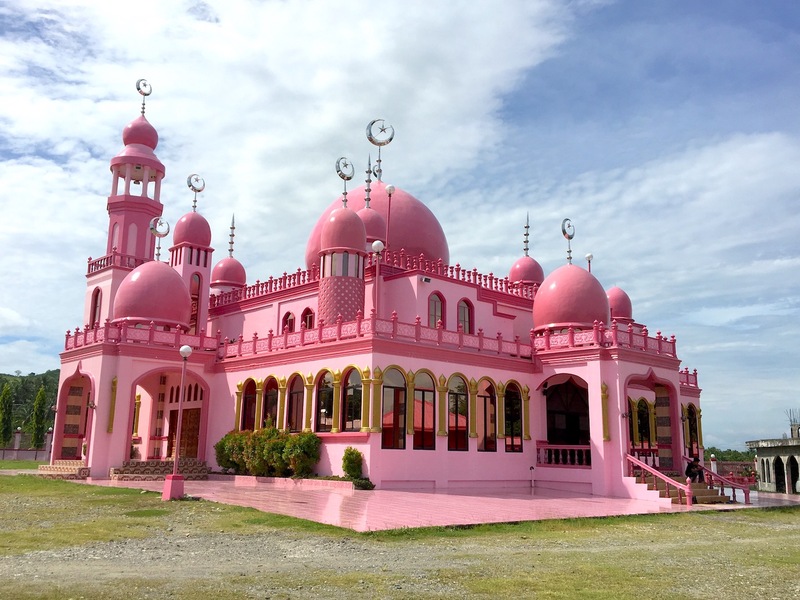 On the next road, a few meters away is Masjid Dimaukom or more commonly known as the Pink Mosque for obvious reasons. Under a clear, blue sky, it's color,a strong shade of pink popped out beautifully. I found a sitting area across that has an amazing vantage of the mosque and stayed there for a couple of minutes, admiring it. I headed back to the road to hail another vehicle going to Cotabato City. With a lot of vacant seat and wide open windows, I enjoyed the wind and embraced the dust. The view was mostly houses, roadside mosques and a lot of greenery. As we passed Barangay Margues in the municipality of Datu Odin Sinsuat (DOS), a huge sign by the road caught my eye "This way to the Blue Lagoon". I made another last minute decision to go down. 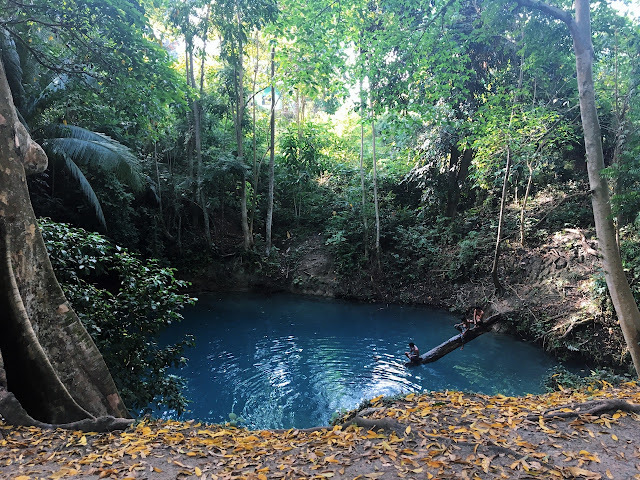 A beautiful pool revealed itself just a couple of steps off the road. Surrounded by huge trees and a forest, it looks enchanting. For a while, I just stood there taking photos but being a water baby, I couldn't resist jumping in the water! I went inside a makeshift changing area, which is really just a small stall with sack as walls. Few minutes later, I joined the small crowd and swam. After cooling down, I headed back up and changed. It was past 3:00 PM and I still had to travel to Cotabato city!From the main road, I caught an aircon van to Cotabato city. Less than an hour later, I'm inside a tricycle looking for a place to stay. I wasn't happy where I checked in so I won't be mentioning it on this post. My room reeked of sweat and though the location is accessible and staff are friendly, it's near a busy intersection that made me feel uneasy. 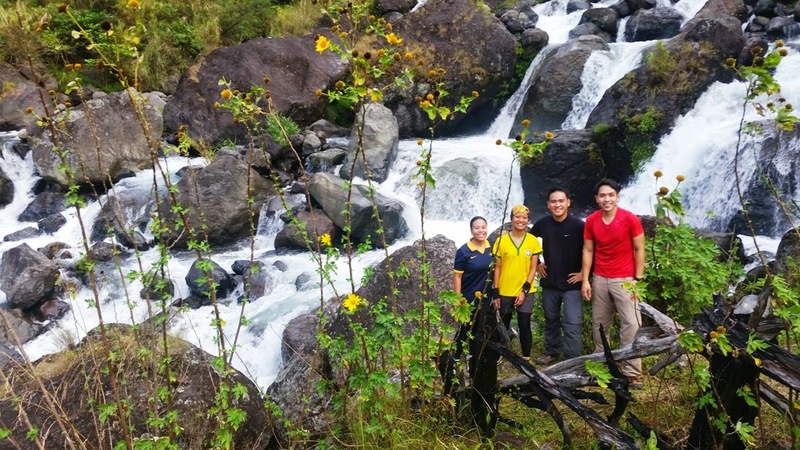 Somehow, my Mindanao-based friends convinced me to hike Mt. Minandar the next morning. Please click here for the story (hiking information included!). The attractions, Blue Lagoon and Mt. Minandar are both in the municipality of Datu Odin Sinsuat (DOS). For more info, please get in touch with DOS Tourism. Walking in the middle of trees and plants is just so energizing that the aches and occasional bruises that come after a long hike become easy to forget. :P For a person who loves forests, nature is indeed the best spa. 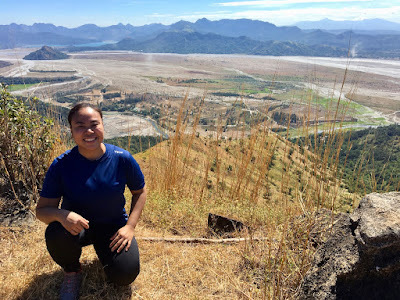 As most of my hikes are in mountain trails around the Philippines, where temperature can go as warm as 35C, I wear the most comfortable and affordable clothing I could buy (won't you rather spend money on food or coffee? :P). 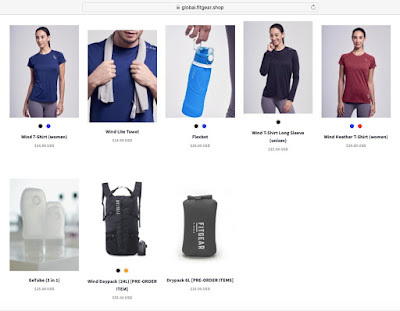 The latest addition to my "hiking wardrobe" is from FitGear, an online store providing premium essentials in honest prices. I tried one of their shirts under the Wind series, shirts that are lightweight, compact and quick drying. True to its description, its fabric is very light but it doesn't feel cheap. The stitchings around the shirt are pretty solid. Being lightweight and compact, it's so easy to just stuff it in your bag. Airy and comfortable, it's perfect for hiking in the tropics. I feel like I'm not wearing anything - which is really good when the air is humid and you're sweating so much. A shirt which come in women and men's sizes costs 14.90 USD or around 745 Pesos. While it's not as cheap as digging an old shirt from the closet, it's a worthwhile investment for a frequent hiker. I should also tell you that technical shirts from other popular outdoor brands range from 1,500 Pesos so their pricing is quite reasonable. The design is minimal - colored shirts with the FitGear logo near the sleeves, making it easy to pair with any pants, shorts or shoes. Tip : You can get it cheaper if you buy 2 or more pieces so I recommend ordering it with friends or perhaps a gift to a fellow outdoor lover. I'm always on the lookout for good brands that can help me have a more enjoyable time outdoors, without spending too much and FitGear is one great find! Use the following codes at checkout to get a discount! Before making a purchase, check out the size guide to avoid ordering an incorrect size. It's available on the product's page, just below the photos of the shirt. - bandana, it's very useful to prevent sweat from getting in your eyes. You can also wear it on your arm to wipe off dirt or sweat. 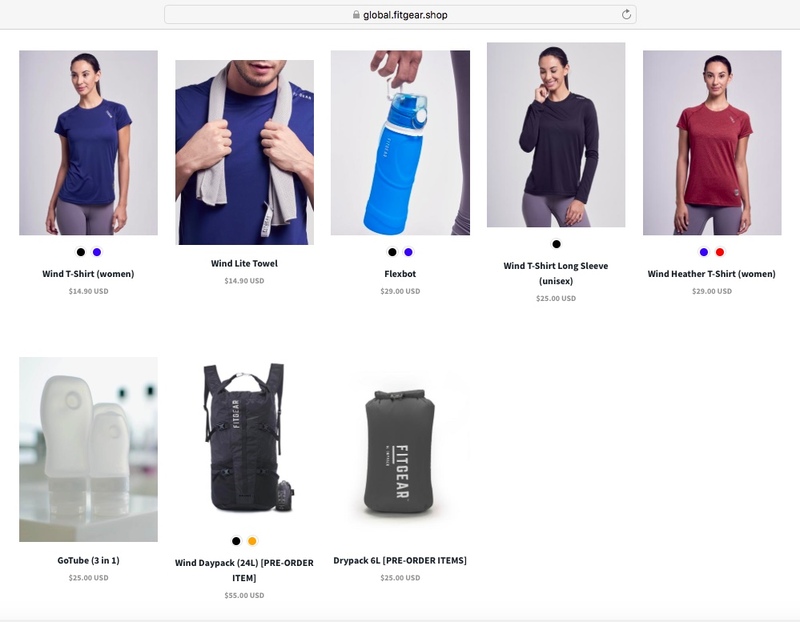 NOTE : FitGear provided me a shirt to review and I'm happy with the product thus, I wrote this post. I don't earn anything if you buy from them.